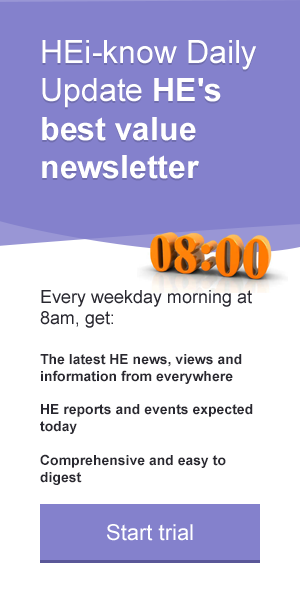 The measures are proposed by Professor Peter Horrocks, Vice Chancellor of the Open University, in a paper published by the Higher Education Policy Institute that argues that higher fees in England are largely responsible for a 61 per cent drop in part-time student numbers since 2008. In Fixing the Broken Market in Part-time Study, Professor Horrocks says fee top-ups from the government are needed that would effectively reinstate the part-time premium abolished in 2013 that gave universities extra funding to cover the additional cost of providing part-time courses. The level of top-ups could reflect the extra costs incurred by institutions or the savings to the public purse of students studying part-time and taking out smaller student loans, the paper says. Internal OU analysis suggests that part-time higher education students required an estimated 27 per cent less public subsidy than full-time higher education students in 2013/14. Students in work could also be encouraged to take up part-time study by a variety of means including government-funded "learning and earning" vouchers or “local skills shortage vouchers” from Local Economic Partnerships to part-fund tuition costs for students in areas where there are skill shortages. Professor Horrocks also puts forward the idea that personal learning accounts could be used to fund tuition fees and maintenance costs for all further education, higher education, and technical study. Government, individuals and companies could pay into the accounts. He says part-time study must be central to the government’s higher education review and that the inquiry must “fundamentally rethink what has worked and what has gone wrong in the current system”.